Discussion in 'Suggestions' started by PrimeDelta, Nov 7, 2018. Hey everyone, i've been playing this server for a little bit now and so far I'm impressed on how much the Pixelmon Server Development and Community has grown since the DMCA of the original Mod. With me looking through tons of servers, this was the only one I found that really popped out. And now with me knowing the community and staff a little bit better now that ive been active for a little bit, I thought I would give this a go. Pixelmon Prison, one of the original official Pixelmon servers before the DMCA. With a for at that time pretty big player base, it was a gamemode enjoyed by most. Combining a decently popular Mod with one of the biggest Gamemodes in Minecraft. Yet nobody has thought about reviving this yet. I was one of the administrators back in the day of Pixelmon Prison, and so I know what still to this day goes on behind the scenes of that server, and that makes me sad to know it probably will never come back by us atleast. The original owner has quit because he's busy with his life, and the new developer, another admin from back in the day, just doesn't have the time, motivation, and probably skills to create what the original owner did. 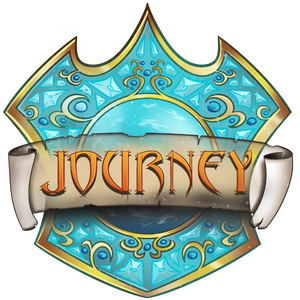 This is why I would like JourneyGaming to recreate what many enjoyed so much back in the day. The owners and developers clearly have the skills to create this, so this is why I make this post. Instead of being thrown into the world instantly and starting, you have to fight your way through the prison, mining for money, to be able to get send to safari's in the prison to catch and train pokemon that you can then use to fight your way through the prison "gyms" to escape into the real world where a whole new adventure then starts. The original server had a lot of flaws at the end, and we never had the time to fix those. But already this server has things that the original Pixelmon Prison needed to fix the issues it had. I know this is a massive suggestion, and I'm not expecting this to be accepted. But atleast I can try to get the experience I had back by making this suggestion and hopefully show others why this gamemode was so amazing. I would love to see what you guys think about getting a new server with a different type of Pixelmon Experience. And if it would be added what you guys would like to see for it. If this is something you guys would like to do, I'll happily help out with any information you need on how the original Pixelmon Prison worked, its flaws, suggestions and more.